For those in the Puget Sound region: remember this February’s Snowpocalypse, the substantial, recurring snowfalls that were so slow to melt? You may have been among the many hundreds of thousands closely watching broadcast news and the forecasts of Western Washington’s skilled meteorologists to learn what future weather would be like. For years, Shannon O’Donnell, KOMO News’ award-winning meteorologist, has been a standout in her field. Shannon, a UW graduate in Atmospheric Sciences and a Mortar Board Tolo alumna, will be keynote speaker at this year’s Mortar Board Alumni Annual Meeting and Brunch. She will share her experiences in finding her passion of meteorology and her insights about her on-air job and how she prepares for it. Shannon’s love for ‘all things atmospheric’ began as a youngster, when her elementary school covered a unit on weather. Seattle’s beloved, longtime weatherman Harry Wappler came for a visit during their studies, and Shannon was hooked! 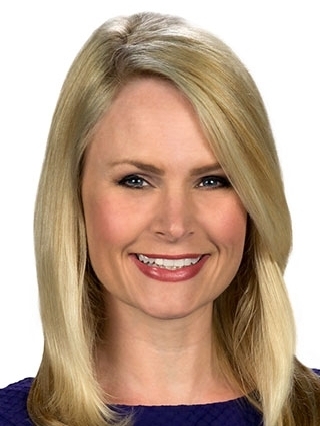 Before joining KOMO, Shannon was the morning meteorologist for seven years at the San Francisco NBC station, KNTV. While in the Bay Area, she filled in many times on the national level at MSNBC and Early Today, and enjoyed working alongside the Today Show’s Al Roker. She was also a meteorologist for KING and NWCN from 1995 to 2000, and again in 2008. While in college, Shannon worked as a weather producer at KOMO, and credits Steve Pool’s relentless lessons in front of the green screen for helping her make the leap to on-camera work. As a UW undergraduate, Shannon worked as a research assistant in the Department of Atmospheric Sciences. Her duties included flying in P-3 aircraft over the Pacific to gather data designed to improve Northwest storm forecasting, and launching weather balloons from the decks of NOAA research ships. She is now back in the Department assisting with various research projects. Shannon enjoys the full-circle experience of bringing weather education back into the classroom. She frequently visits area elementary schools with her traveling ‘weatherwise’ presentation, which enables the children to better understand concepts like pressure, clouds, precipitation and lightning as they assist her with various experiments. Her STEM outreach has been featured in publications by the Girl Scouts and Microsoft. Shannon has received numerous awards in her field, including ‘Best Meteorologist’ by the Golden Gate Chapter of the American Women in Radio and Television. Among other laurels, she was part of the multiple Emmy-winning morning news program at KNTV.